When my friends were out playing sports, you'd likely find me in my bedroom at my parents Westchester home, reading up on current events, local news and most commonly studying about New York Real Estate. Unlike many of my classmates back in Archbishop Stepinac, I knew the career path I would choose. I knew I wanted to work within my community. You see, I was born and raised in Westchester County and the energy of these neighborhoods has always flowed through my veins. I also enjoyed solving problems, negotiating deals and working with different personalities and cultural backgrounds. So, with a BBA in Marketing Management from Pace University in one hand and a license to sell New York real estate in the other, I put my dream in motion and began my long-awaited career. As a young, ambitious man who focused on operating in one of the most sought-after counties in the country, I was met with a slew of unexpected obstacles brought about by a downward spiraling economy. After all,the year was 2005 and the housing market was showing signs of uncertainty. Despite the bleak outlook and my lack of experience, I had to try to do something to help my clients. Rather than running for cover, I carved out a much-needed real estate niche as a Short Sale Advocate. And for the next several years, I concentrated on consulting with and representing distressed homeowners. Honestly, the satisfaction of seeing the relieved expressions on my clients' faces once they were freed from their underwater mortgage is indescribable. Understanding that the pendulum of prosperity would eventually swing back, I studied my craft and took time to listen, watch and learn. I realized my strong suit is my talent for being able to blend the traditional and mod ern-day real estate worlds. Here, I expertly combine timeless integrity and a dedicated mindset with tech-savvy skills to my client's benefit. That is my unique trump card. My clients are given key tools to reach an informed decision well before an offer is on the table, not after the ink on the contract has dried. To that end, I routinely keep abreast of the marketplace, in addition to financial and neighborhood news, so nothing is left to chance. What's more, I am continually building my professional associations by networking with bankers, brokers, attorneys, inspectors, contractors and others who might someday be helpful for my clients. Granted, even though I have over a decade of solid real estate experience-backed by the most prestigious brand, Sotheby's International Realty, a company affording me the most effective resources in the industry-I'm still viewed as "a young agent." I consider this perception an advantage since I relate to the generation now fast taking over the work force. And much like the new crop of buyers and sellers today, I am at ease with technology and pro-actively embrace the Internet using online platforms to gain optimum listing visibility. Thanks to that connection coupled with a work ethic, which began in my teens, my clients receive no-nonsense information in creative and transparent ways. Whether you're interested in buying or selling a home, call me. If you could use a knowledgeable ear and need some hard facts, call me. Or to learn your options for getting out from under a financially devastating property, call me. Guaranteed, I'll quickly respond to discuss ways I can help. Real Estate isn't just a job for me, it's my life. Inaam services the areas of Scarsdale, Edgemont, Eastchester, Yonkers, Ardsley, Hartsdale, Tuckahoe and White Plains. To contact Inaam call him at 914-374-7490 or email him at inaam.rahman@juliabfee.com. His office is located in the heart of the Village of Scarsdale at 28 Chase Road, Scarsdale, NY 10583. Inaam is hands down the best Real Estate Agent I have ever worked with. He is honest, knowledgeable and trustworthy. I would highly recommend him to anyone looking to buy or sell a home. We began working with Inaam in early 2015 and moved into our new home before the holidays that year. Though this might seem like a long time we assure you it was well worth it because we found the home of our dreams. In moving from New Jersey to Westchester County we had very limited knowledge of its neighborhoods, schools, amenities, etc. This is just one of the areas where Inaam thrived. During our first outing with him he started with basics by driving us through neighborhoods and explaining the pros and cons of each, such as the distance to transit centers and shopping areas. In the weeks and months that followed we looked at many homes, and given the parameters we had put in place Inaam had his work cut out for him. With Westchester being a scolding hot seller's market it was imperative to be flexible, reactive, and responsive in order to view homes immediately as they came on the market and make timely offers. Inaam made this happen for us, meeting with us weekly for the better part of 8 months and showing us well over 50 homes. Upon getting our much anticipated accepted offer Inaam walked us through the final buying phases, and remaining as our confidante and partner through the very end of the closing. Inaam always had our interests at heart and we could expect honest answers to questions we asked - he even offered insight into various sensitivities that we normally would have overlooked. 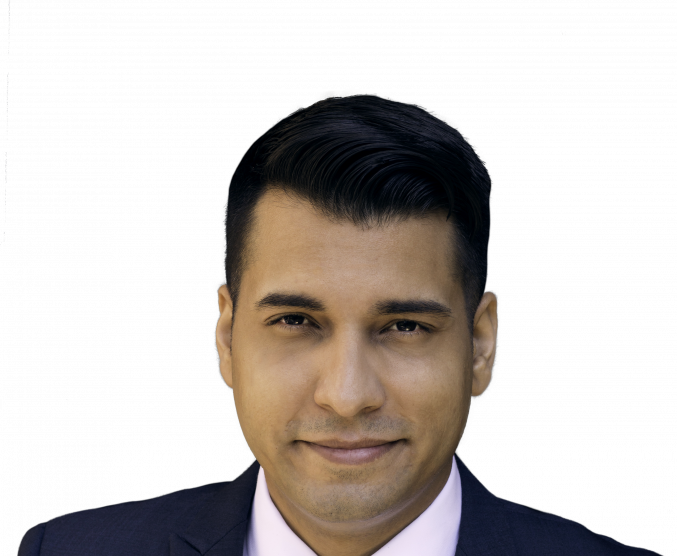 If you're looking for an incredibly knowledgeable, patient, flexible, creative and responsive agent - look no further and contact Inaam Rahman. Mr. Inaam Rahman has incredible knowledge of the real estate business and is an amazing negotiator. I refer to him as the "Magic Man" because he can make things happen. Mr. Rahman is always available to answer your questions honestly and is more concerned about your needs than anything else. My wife and I were very lucky to have met Mr. Rahman. Without him, we would not have been able to purchase our home. Call him, he is the most trustworthy person that I have met. Don't get fooled by his young looks, he knows more about the real estate business than other brokers with over 20 years experience. Dear Angela and Inaam, It is with great pleasure that we recommend your services as real estate agents. For the sale of our house in Edgemont, you were able to accurately perceive the market situation and helped us take advantage of it by advising us on the timing to put the house on the market, the proper pricing and the staging to make it more attractive to prospective buyers. At the time of our search for a new home Inaam showed his tremendous patience towards us. He was extremely accommodating and easy-going as we visited tens of condos and coops, always helpful and knowledgeable about construction details, property background facts and market values. You make a smart, well-informed, expert and sensitive team! Thank you so much for being our agents and now also our friends! Thank you, Inaam, for the excellent service you provided to my family. You took into consideration both my husband and my ideas and concerns into buying our first home.. you gave your time, effort and experience, and that shows your willingness to meet our expectations.. We found a home that fits our individual needs and our family's necessities. You are truly an expert in your field!